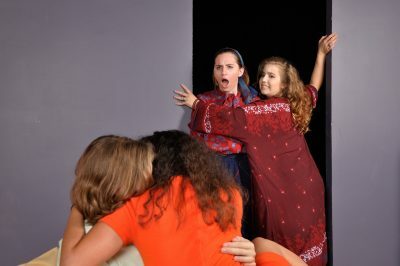 Stetson University presents Alan Ayckbourn’s rollicking comedy Bedroom Farce Thurs. – Sat., October 12 – 14 at 8 pm, and Sun. October 15 at 3 pm, in Stetson Theatre Arts’ Second Stage located inside the Museum of Art, 600 N. Woodland Blvd., adjacent to the DeLand campus. Four couples, three bedrooms — what could possibly go wrong? Set in the 1970’s, Bedroom Farce is a comedic look into the married life of four couples. Malcolm and Kate are throwing a happy housewarming party– happy that is, until Trevor and Susannah arrive. In a troubled marriage, Trevor and Susannah bring their relationship issues to the party, swinging through it like a wrecking ball. When Susannah discovers Trevor kissing his ex-girlfriend Jan, she runs to his parents for comfort and Trevor runs to Jan’s husband to apologize. In the process,they wreak havoc in the lives of all three couples, from one hilarious moment to the next. Stetson Theatre Arts’ Second Stage is located inside the Museum of Art, 600 N. Woodland Blvd., adjacent to the DeLand campus. Parking is free. Admission for this production is $12 for adults, and $10 for seniors and students. Stetson students, faculty and staff are admitted free with a valid Stetson ID. Tickets will be available at the door and reserved tickets must be picked up 30 minutes prior to the start of the show. Box office will be open one hour prior to curtain. For information or reservations, call Stetson Theatre’s “Second Stage” box office at (386) 822-8700.